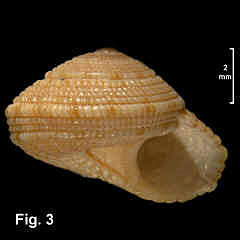 Description: Shell of moderate height, umbilicus variable in width; spire convex in outline. 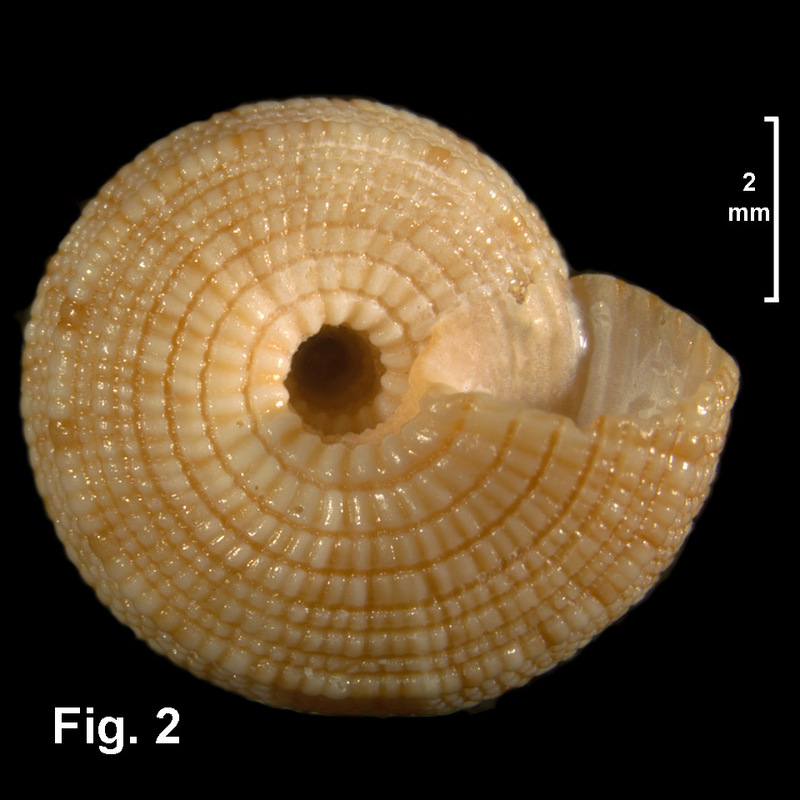 Teleoconch whorls straight-sided or weakly convex, with 4 or 5 strongly beaded spiral cords, the uppermost and lowermost strongest, crossed by oblique grooves. Periphery rounded, with 3 weaker spiral cord below peripheral cord. Base weakly to slightly convex, with 6 beaded spiral cords between lower peripheral cord and umbilical margin. Umbilicus narrowly or widely open, with strongly toothed margin. Colour reddish tan with pattern of regular flames and flecks on peripheral ribs. Size: Up to 14 mm in width. Distribution: Endemic to Australia. Byron Bay, NSW, southwards to Twofold Bay, NSW, and south-western WA. Comparison: Heliacus implexus has 2 cords on the periphery, the lower one weaker and the periphery angled. 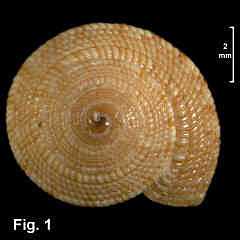 Heliacus ponderi differs from H. implexus by having the periphery rounded, with 3 weaker spiral cords below the peripheral cord. Heliacus enoshimensis also has 2 cords on the periphery with the lower one weaker, but has overall finer nodules and the spire is always low. Heliacus variegatus also has 2 cords on the periphery; it is the most strongly sculptured of the group. Figs. 1–3: Long Reef, Collaroy, NSW (C.096135).